SAN FRANCISCO — Intel Corp. announced the general availability of its second generation of Intel Xeon Scalable processors Tuesday, a workhorse of the data centre, and shared details on the many different flavours of the custom processors designed to address many specific challenges, including in artificial intelligence. Intel competitor Nvidia’s GPUs have become popular in recent years for the parallel processing power they offer, aiding the training of data-intensive machine learning models powering artificial intelligence. With its new Xeon processors, Intel is targeting inference-based machine learning, when a model takes an input and uses its past training to return an answer. While training is typically done in a centralized location with a powerful computing array, inference tends to be pushed out to the edge so it can deliver results to users. 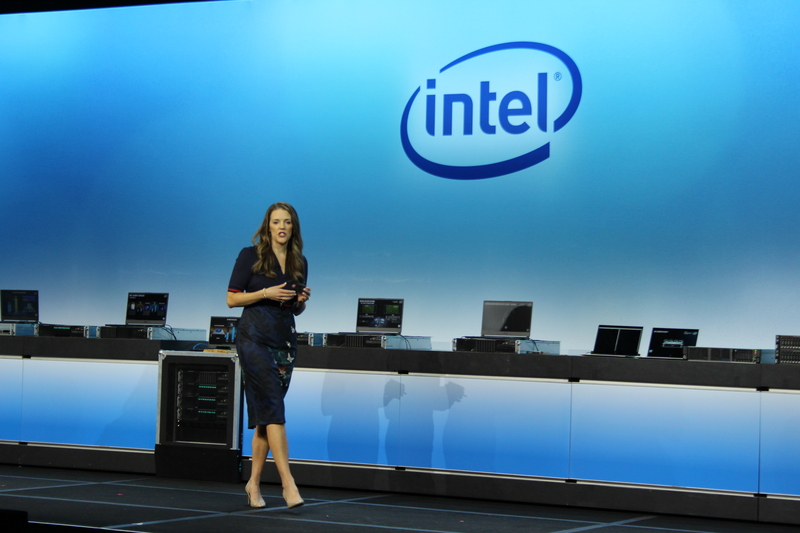 Intel wants to maintain its market leadership position in delivering deep learning inference, says Lisa Spelman, GM of Xeon processors at Intel. Think of it like when you ask Alexa a question, says Lisa Spelman, vice-president of data centre group and general manager of Xeon processors at Intel. When it hears your question and decides to tell you a weather update, that’s inference-based machine learning. The natural language processing capability that was created back in Amazon’s lab was the training component of that AI. A diagram from Nvidia explains the difference between deep learning training and inference. Inference is garnering more interest in the tech industry for applications like image recognition, with major players like Amazon Web Services launching initiatives to promote it. Intel partnered with Amazon last fall on Deep Racer League, a league that challenges developers to train small autonomous cars to complete a lap of a race course. To make its second-generation Xeon processors even more capable of inference training, Intel is integrating its Deep Learning Boost (Intel DL Boost) technology. Intel says it’s worked with its partners in the industry to optimize their machine learning frameworks to perform well on its chips. Popular frameworks like TensorFlow, PyTorch, Caffe, MXNet, and Paddle Paddle are supported in this way. 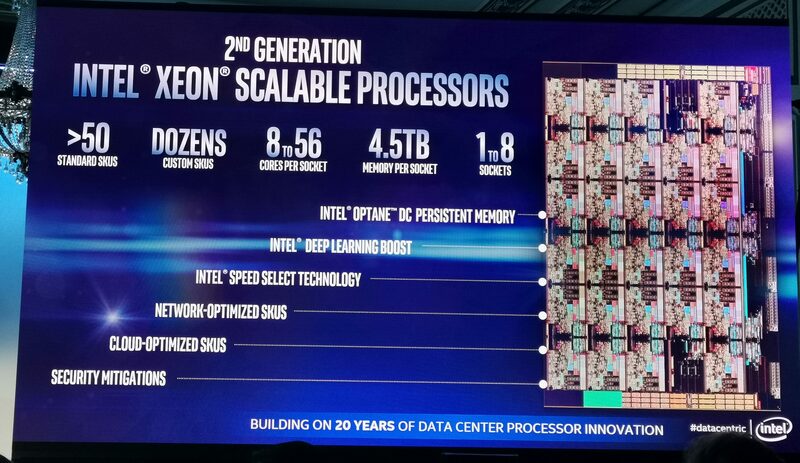 During his keynote at Intel’s Data-centric event, Navin Shenoy, executive vice president and general manager of the data centre group, said DL Boost is available on the Xeon Platinum 8200 processor and that it could yield a 14x performance improvement on deep learning workloads. Shenoy and other Intel executives performed a series of benchmarking exercises on stage, each reinforcing one basic fact – the new generation of Xeon processor is faster than the old generation in many ways, and in some ways it’s the fastest processor available on the market. Some portion of that hunger is for inference AI. According to Spelman, Xeon processors are already powering 80 to 90 per cent of inference in the market today. It wants not only to maintain that market segment. Not only is it likely to keep pace with the demand for training AI, but it could grow larger as more devices like Amazon’s Echo deliver Alexa or any other number of AI services. Stu Schmeets has been using Intel’s new Xeon processors for deep learning inference on cardiac MRI scans since last October. Intel’s second-generation Xeon processors, also known under the “Cascade Lake”, became generally available today. But some of Intel’s clients had access to the new CPUs earlier and have been putting them to use in the wild. Stu Schmeets, senior director, MRI R&D Collaborations, North America, Siemens, says his team has been using Cascade Lake since October. The Siemens Healthineers team are developing AI that can look at cardiac MRI scans and identify significant images that a doctor should review. Cardiac MRIs are the main tool that physicians use to identify heart disease, responsible for 18 million deaths a year in the U.S. alone. But examining MRI images for problems manually takes a long time. If doctors could use AI to help sort the images and identify potential problems, care could be delivered faster. In a demo on stage at the event, Schmeets showed that Intel’s new Xeon processor performed at 5.5x the previous generation on Siemens workloads. He says that his lab team reports back similar results from their experience with it. Siemens AI model is still in the research phase, but eventually, the firm wants to push it out in an integrated way with MRI machines, using inference machine learning to deliver image recognition results right where the images are being taken. In addition to Xeon processors, Siemens is also making use of Intel’s distribution of OpenVINO, a developer toolkit based on convolutional neural networks. It helps distribute workloads across Intel’s hardware. 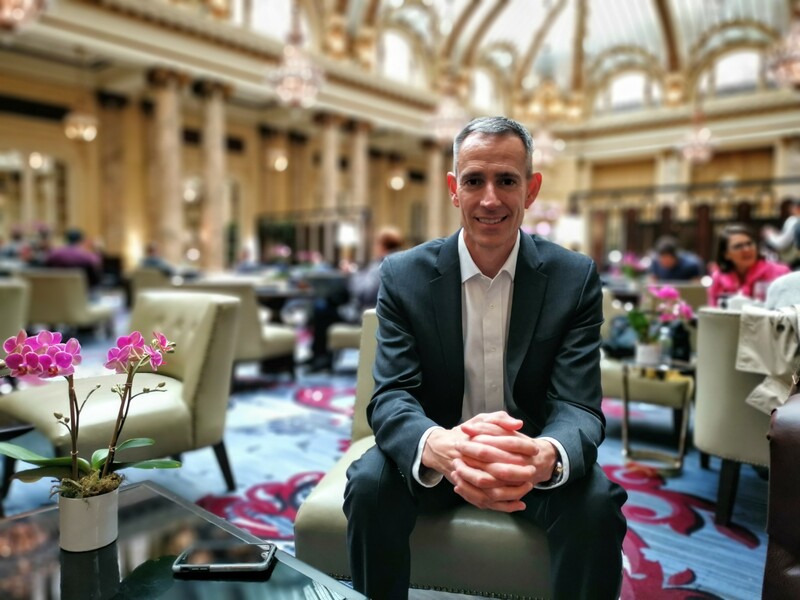 Intel paid for Brian Jackson’s travel and accommodations to attend its Data-centric event. This article was not reviewed by Intel before publication.